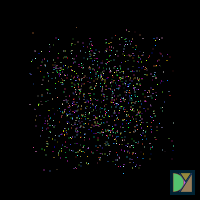 The first iteration of Transcolors, a colorful puzzle game made on Khan Academy's Processing.js environment. Make your way through puzzling mazes and colorful obstacles in this challenging puzzle game made on Khan Academy. As an entry to Khan Academy’s Puzzle-Game Challenge, Transcolors is among the most popular programs on Khan Academy’s computer science platform. In this Transcolors remake, guide Smiley through a grid of colored obstacles by matching color. Color changes occur when the character steps on a blinking color transformer, upon which the old color is lost. The object of the game is to reach the flag with a matching color. The puzzles in the Scratch version of Transcolors are free-form and pixel-based; collisions are detected by touching pixels, using the pixel’s color to determine whether or not an obstacle is passable. Making levels is tedious, as they have to be hand-drawn with precisely chosen colors in order to make the game function correctly. I decided I wanted to improve upon this model. I first figured out that any free-form puzzle layout can be remade into a grid system, which would make the game logic much more efficient than checking the surrounding pixel color every time the player moved. 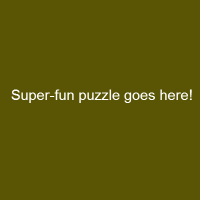 It would also help to make the puzzles look consistent and easier to render. So I started by streamlining all the puzzle elements – the color transformers, walls, bricks, and gates – into a tile-based map. What used to be wide open space in the Scratch version is now constrained to “path” blocks. The character now simply moves from square to square. The player itself is a square in the Scratch version. That doesn’t work so well on a square grid, since you won’t be able to see where you’re standing. So I changed the shape to a circle; that way there’s some context as to what’s behind they player. And why not, let’s add a smiley face on top of that to make the game more fun. Thus begins Smiley’s debut – hello, Smiley! The tile-based system also brings a new objective to Transcolors: using as few moves as possible to finish a puzzle. Each time you step on a square, a counter increments to keep track of your moves. You’re also timed once the level starts, and your best move count and time are saved as high scores. I never programmed in the minimum possible amount of moves or any sort of time goal, so the main idea of this feature is to constantly improve your score after you try a level for the first time. Saving your hard-earned scores is a bit tricky, since there’s no way to store internal data in Khan Academy’s programming interface. Clicking “Save My Stats” from the main menu will output your scores as a JSON object, which you’ll have to override in the game code via copy-and-paste. You can then save the game code in its entirety to your Khan Academy account as a spin-off (or fork, if you will). Users can design their own level using the editor found under “Create a Level.” Just select a tile and a color from the palette, then drag on the game board to place tiles. Hit “SAVE”, and the game exports the code used to generate that level. Paste it inside the game code at the indicated spot, save a spin-off to your account, and you’ve just made your very own Transcolors level! You can even challenge your friends to solve it. Adding to that train of thought, why don’t I just let the Khan Academy community create some of the levels for me? I created a post in the project discussion area, where community members can submit links to spin-offs containing levels they’ve created. I would then review it and provide some feedback if necessary. If I feel that a level is deserving to be in the game*, I’d include it as an official level with credit to the maker. After the last Version 1.0 update, 13 of the 27 levels in the game ended up being made by community members. Not half bad. Enter Version 2.0 – the complete revamp after the complete remake, with vivider graphics and a whole new experience. Check it out! Since the completion of Transcolors on Khan Academy, I have been working on an iOS app for Transcolors!